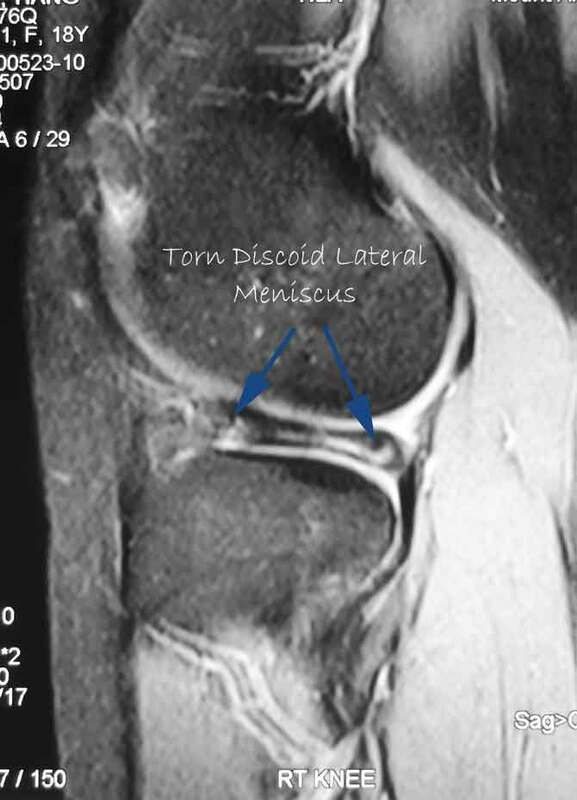 Discoid lateral meniscus is a variant of a normal meniscus. People may be born with this. A normal lateral meniscus is crescent moon-shaped while a discoid lateral meniscus looks like a disc ie round. 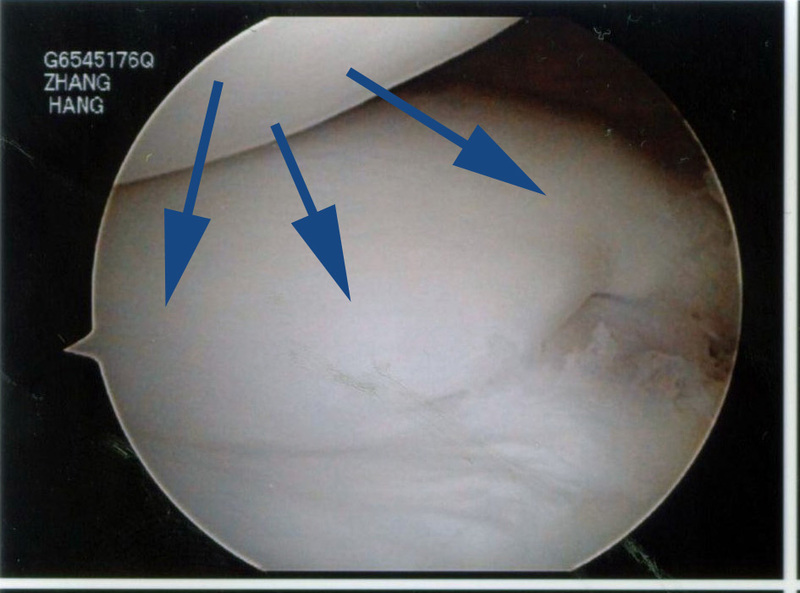 It is commonly found in the lateral meniscus. Discoid medial meniscus can occur as well but is rare in my experience. 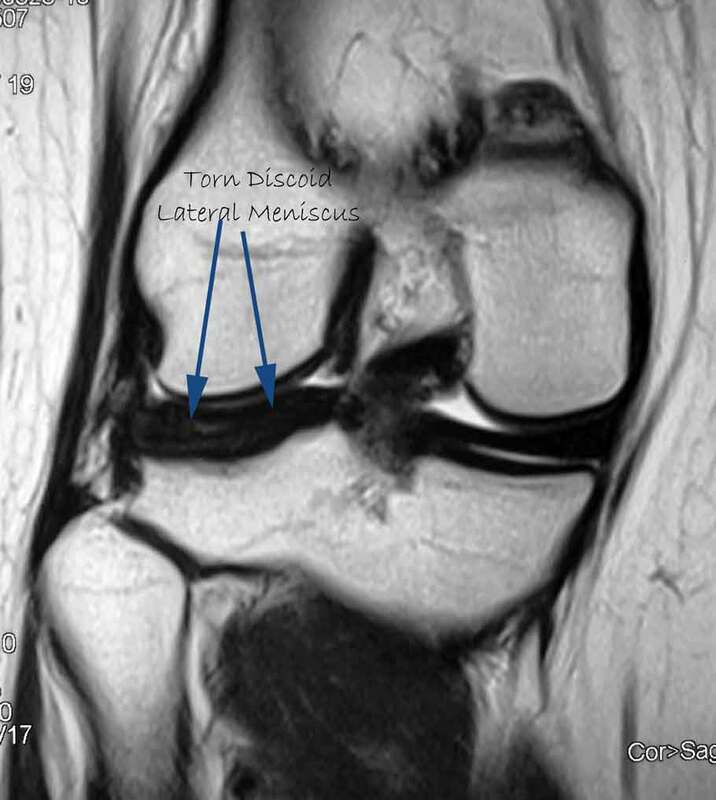 Many people with discoid meniscus may not present with any symptoms. They may live through their lives without knowing that their meniscus is not normal. However, more often than not, these abnormally shaped menisci can tear and cause problems. Pain in the knee joint. Cannot straighten the knee i.e. locked or jammed. Cannot bend the knee fully without pain. The diagnosis is made with clinical history and examination. Usually an MRI scan is necessary to clinch the diagnosis. The treatment is usually arthroscopy. 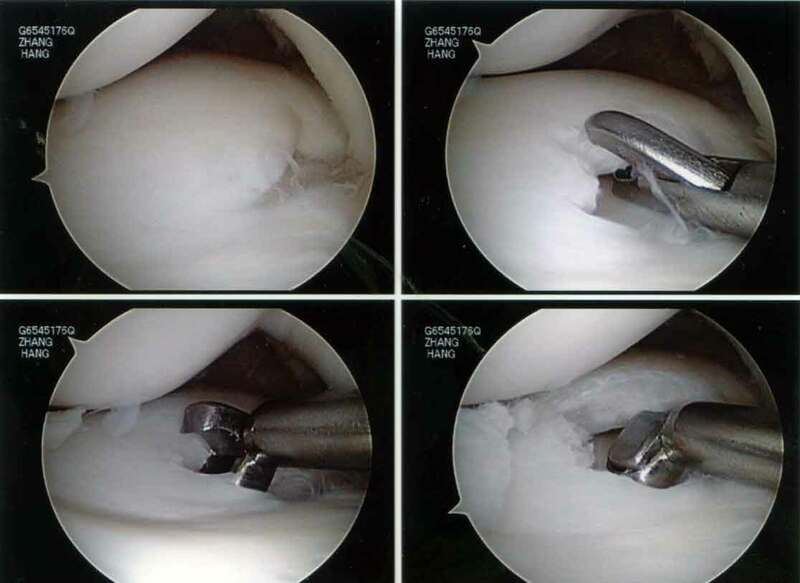 The surgeon has to decide whether he can reconstruct the torn discoid lateral meniscus or whether he has to cut it off. This is my patient who is 18-years-old and she presented with acute locking and pain in the right knee. MRI confirmed a torn discoid lateral meniscus. As the patient was very young, I decided to reshape the discoid lateral meniscus and repair the torn parts back to the capsule. This is a reconstruction of the discoid lateral meniscus. I feel that this is a much better option than cutting the lateral meniscus away. Removing almost the entire lateral meniscus will definitely lead to a lot of pain and disability in this young lady. 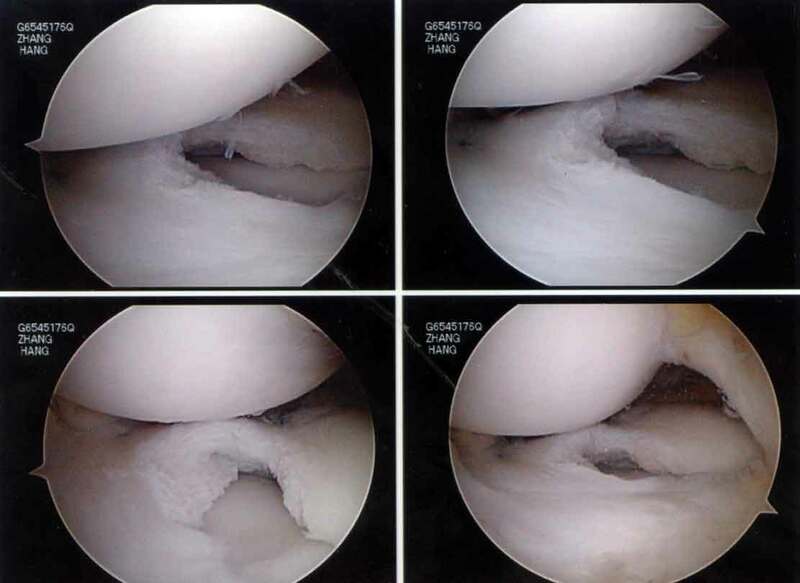 Next, the torn part of the meniscus was repaired to the capsule using a combination of all-inside and inside-out meniscus repair technique. 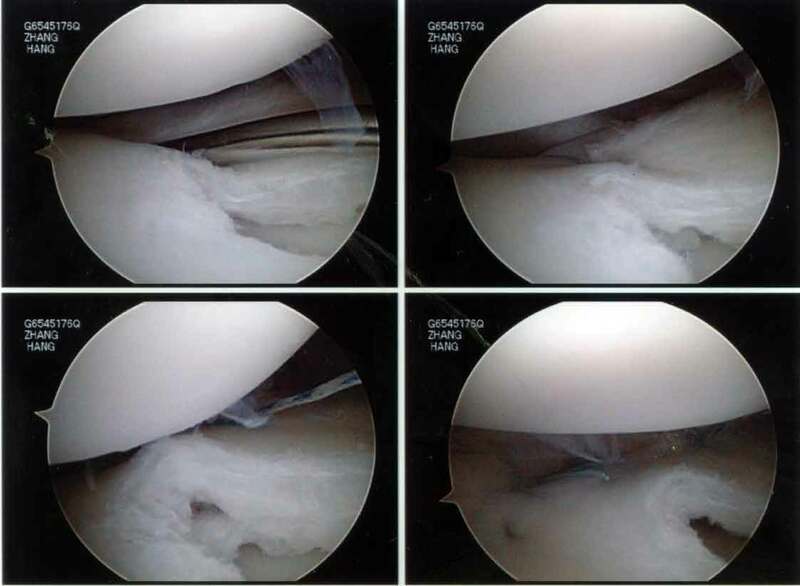 I will probably talk more about these meniscus repair techniques in a later article.